NEW WESTMINSTER, BC – Steel & Oak Brewing has announced details of the latest release in its Brewers Series of limited edition bottle conditioned beers that feature “some really unique styles on a small scale”. 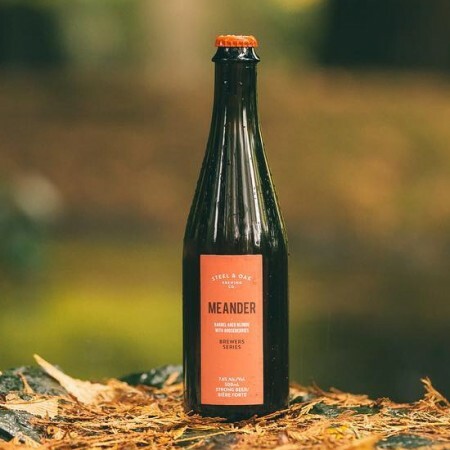 After aging for a year in Cabernet Sauvignon barrels, Meander was conditioned for three months in gooseberries to create a complex barrel aged Blonde ale full of funk, fruit, and finishing refreshingly tart. Meander will be launched tomorrow (December 6th) in a limited run of 500 ml bottles at the Steel & Oak tasting room and store, with distribution to select private liquor stores to follow next week.